Susan lives in sunny Florida, but has had the pleasure of living in nine states. She and her music director husband have two beautiful daughters, a very special son-in-law and an adorable grandson. She has loved mystery and suspense books since reading her first Nancy Drew mystery. Susan now channels that enthusiasm into hosting TheSuspenseZone.com and writing romantic suspense and mystery novels. 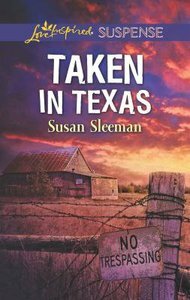 To learn more about Susan and her books, please visit SusanSleeman.com.